Sunrise over the Exe estuary at Topsham. 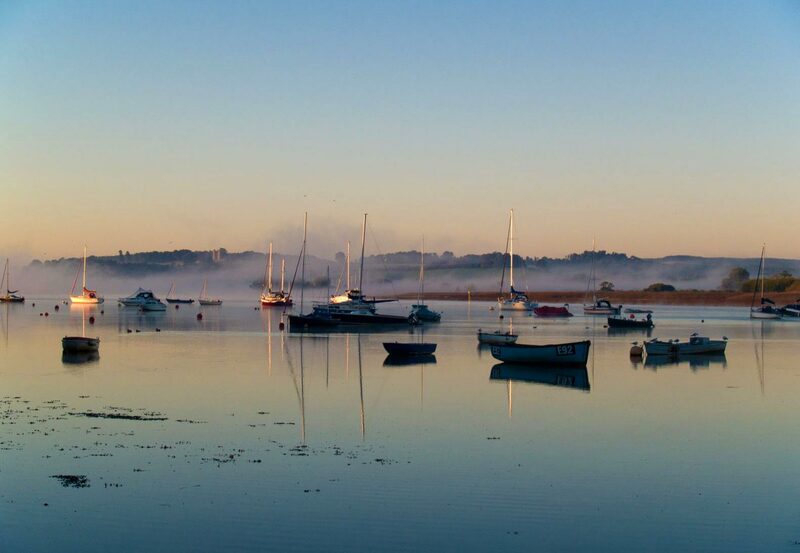 Topsham is located around 4 miles south of Exeter where the River Exe widens significantly before emptying into the sea at Exmouth. The town was once a larger port than Exeter with a large shipbuilding industry. Today Topsham still maintains its maritime connections but these now consist largely of yachts and a few small fishing boats.